The largest capacity Apache sprayer. The AS1230 is a perfect sprayer for operators looking for dependable performance in a large capacity sprayer. The AS1230 features a smooth riding suspension along with a 1,200-gallon tank and a powerful 260 hp Cummins Tier 4F engine. New, wider 120" - 160" adjustable axles are great for growers who need a wider stance either for row spacing or stability. REAR TIRES Goodyear 380/90R46 (narrow and semi-float, and full-float options available. Simply one less thing to worry about, the Apache now comes standard with a 100-gal rinse tank. The cab is now mounted in four points which makes for our most comfortable ride yet. State-of-the-art cab interior and ET Pilot System 7" interactive touchscreen. 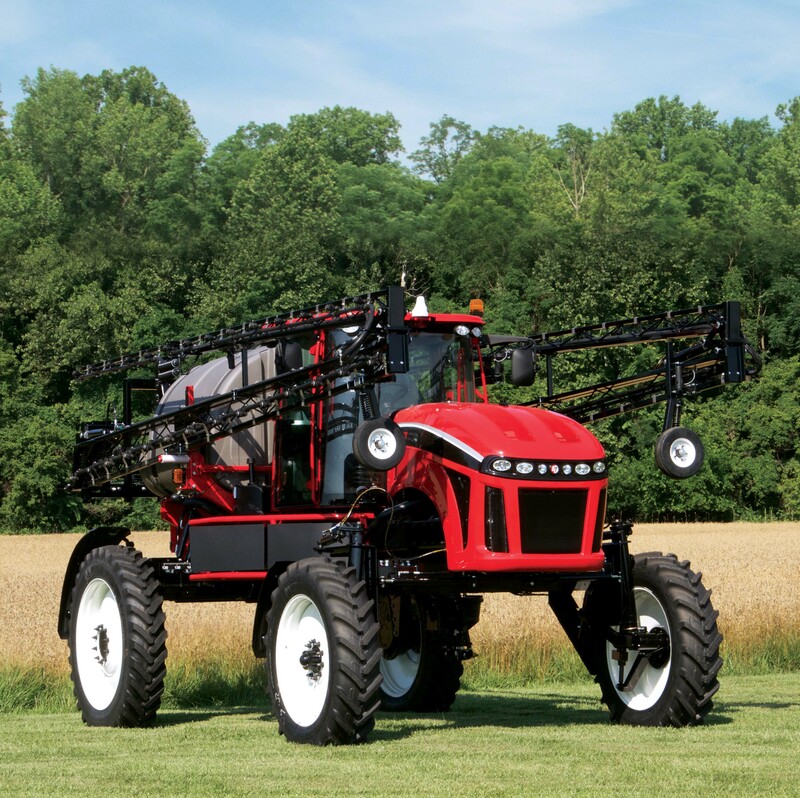 All Model Year 2016 Apache sprayers are available with optional ISOBUS-ready wiring in lieu of factory-installed field computers. Refer to your specific precision agriculture product documentation for compatibility information. Equipment Technologies factory installs all field computers using CAN bus wiring and protocols.